Cumin seeds are one of the routinely used ingredients that are widely used in India, the Middle East, and North Africa etc. This cumin and other value-added products from cumin are used in food flavoring and perfumery. Cumin contains cumin aldehyde i.e. the major active principle and volatile oil. It helps to form the main component for many spice mixes and curry powder. Additionally, there are also various health benefits of cumin seeds. The scientific name of cumin is Cuminum cyminum L and is known as Jeera, Zeera or Saffaid Jeera in Hindi. The exterior of the fruit has 5 primary edges and the plant is 15-50 cm high. The flower of the plant is white or rose-colored. Cumin seed is one of the popular Indian spices and indispensable flavoring agents that is been used in different cuisines of the world. It gives a warm feeling of cooking like certain soups, curries etc. Cumin seeds are known for its antioxidant, anti-flatulent, carminative properties. They are an excellent source of dietary fiber. The active principles of cumin help in digestion by augmenting gastrointestinal juice (enzyme) secretions. It has an excellent source of minerals such as iron, calcium, potassium, zinc, magnesium and many more. Different minerals present in the seeds have various benefits like copper for production of red blood cells, iron for the formation of red blood cell, zinc regulates growth and development and potassium helps in controlling of heart rate and blood pressure. It contains B-complex vitamins and anti-oxidant vitamins such as vitamin A, E, and C.
Cumin seeds are a rich source of carotenes, zeaxanthin, and lutein. Many components of cumin reduce the growth of foodborne bacteria and different kind of infectious fungi. It has an aromatic odor, bitter taste and is used as a condiment and seasonings in cakes, bread, cheese etc. It is also used as a stimulant, stomachic and astringent. It plays an important role in ayurvedic medicinal traditions like cumin along with ghee has various health benefits. These qualities of cumin seeds provide antioxidants, iron and potential benefits for controlling blood sugar. Other benefits include weight loss, improved blood cholesterol etc. There are also other health benefits of cumin seeds. 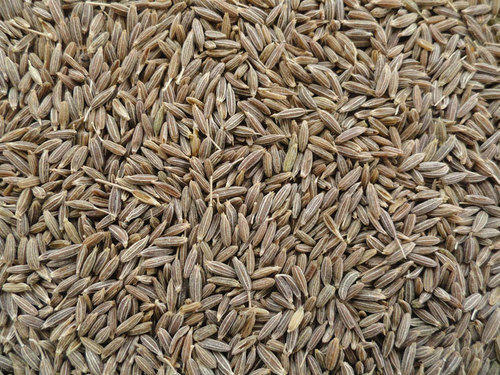 For high-quality seeds, we at Altrafine Gums are bulk quantity exporter of cumin seeds that are useful in various industries. 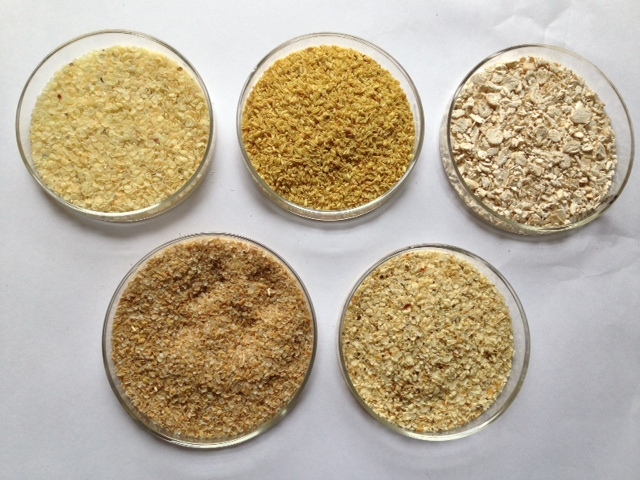 Along with this, we are also exporter and manufacturer of guar gum powder, fast hydration guar gum powder, cassia tora powder, Psyllium husk powder etc. For high-quality product contact us today and know more about how they are used in different industries. In the indo western cuisines, the fenugreek is one of those ingredients that distinguish between cooking and excellent cooking. In many instances, dishes with fenugreek act as a marker of what people will think when they think of that dish. The aroma of fenugreek alone has made many people sampling the Indo western dishes to arrive to conclusion that this part of the world has some of the best traditional dishes. The fenugreek used as a spice in food adds to a complex sweetness and a bit of subtle bitterness to sauces that have an amazing taste. The use of aromatics in food has been practiced from long ago. Some of the basic aroma plants include the onions and garlic. They are herbs, spices and vegetables that are prepared in an oil base to enhance food flavor. The immersion in oil helps in releasing their inherent aroma and creating the foundational taste and smell to the food. The fenugreek is a native crop to Asia and the Mediterranean regions and the seeds and leaves are edible. When the powder is combined with aromatic compounds and spices, the maple syrup flavor is transformed to resemble the dark caramel, to make the cuisine feel complete. In the catering industry, there is no replacement for the product. In specialized catering, this product can be used both as an herb and spice. The plant leaves can be obtained as frozen, fresh or dried. These are then added as leafy greens in the sauces and curries such as with potatoes. The dried leaves are most preferred as they are able to retain most of the flavor. 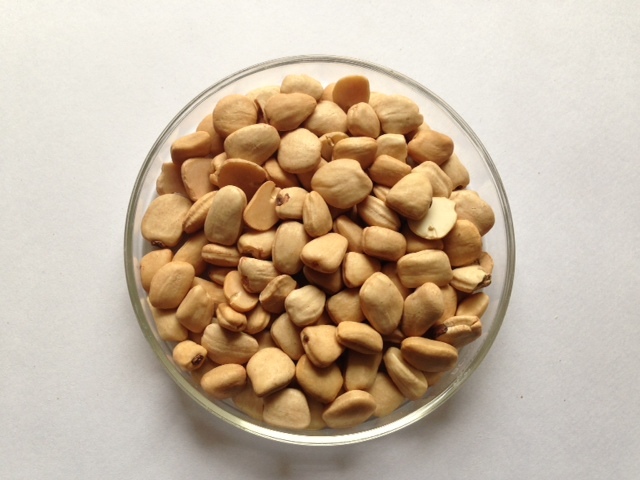 The fenugreek seeds are the most preferred of these products. They are usually cooked for a longer period of time and therefore able to infuse well with other aromas and flavors. Most experts therefore prefer starting with the seeds and finishing with the leaves to refresh the spice and enhance the intended flavor. The bitterness of the seeds is reduced by pan roasting then added to pickle brines and homemade curry powders. The fenugreek gum powder has also been seen to work best with strong flavors such as the coriander, cumin and paprika to create a great sauce. It is worth noting that caution is needed because too much of it may make the food overly bitter. In addition to the culinary benefits, there are added benefits from the fenugreek gum powder. The powder is among the naturally occurring polysaccharides sought for usage as release modifiers in drug delivery methods due to their safety, non-toxicity and benefits to the body. The gum power has also been noted to have a positive effect of lowering blood glucose levels. 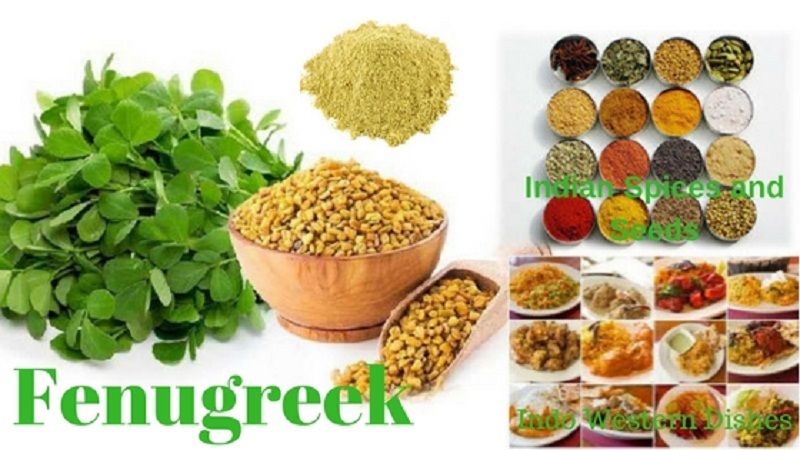 The fenugreek gum powder is a popular spice and flavor in various recipes. This popularity has spread from the Asian regions to other global markets. The gum also has other nutritional values and industrial applications including therapeutic applications. How does Thickening & Gelling in Food take Place with Hydrocolloids? A hydrocolloid is a mixed group of chain polymers that has the ability to form a highly viscous liquid while combined with water. It contains high number of hydroxyl ions (-OH) which increases their attraction to water molecules thereby making them hydrophilic in nature. When combined in water the resulting substance is a thick intermediate that is neither a true solution nor a suspension therefore a colloid, hence the term Hydrocolloid. The main importance of hydrocolloids in foods is in their ability to alter the flowing characteristics of the liquid that they are combined with. They also change the mechanical properties of that liquid or the texture of the resulting product. From this discussion there are many uses that can be derived for hydrocolloids due to this unique property. After establishing that it is not harmful to the human or animal health, these hydrocolloids can be used in thickening of food and food additives such as jams, soups, ice-creams, candies, salad dressings and any food that requires thickening before final consumption. There are various types of hydrocolloids and this variability is due to the different characteristics that each of them exhibit in terms of thickening food or the resulting texture. Other hydrocolloids have even the ability to thicken into gels. Most thickening agents give high viscosities with very low concentrations of even less than one percent. The derivatives of these hydrocolloids include the cassia gum hydrocolloid, sesbania gum and the guar gum for thickening. Hydrocolloids used to make gels include pectin, gelatin, agar solution, carrageen an and even alginate .These gelling agents also have wide use in laboratory applications such as making nutrient growth medias in biology. The cassia gum is commonly used as a thickening agent in pet food industries, while the sesbania gum in the manufacture of non food pastes such as dye thickeners. The thickening process is usually an interaction between the solvent and the polymer and involves imprecise mixing of non- conforming polymer chains. This process occurs above a certain critical concentration commonly referred to as the overlap concentration. If this concentration is not achieved the solotion ‘’breaks’’ and displays characteristics of a normal liquid. The resulting thickening achieved is largely determined by various factors such as hydrocolloid used, the concentration applied, food product in which it is applied, the ionic concentration of the product, and even the temperature of the solution. A gel is a thick semisolid exhibiting mechanical stiffness. It is comprised of protein molecules that are intermingled forming an interconnected network of molecules in a liquid medium which is usually water. Gels are formed from hydrocolloids due to their association on the polymer chains interconnected using hydrogen bonds. This property of gel formation is not exhibited by all hydrocolloids. Therefore to achieve gelling characteristics the hydrocolloids are usually combined to achieve thicker viscosity. The guar gum and Xanthan are combined with the locust bean and carrageen to get higher viscosity and elasticity as well as achieve various textures. For more information please contact us by click following link : https://www.altrafine.com/contact_us.html. Galactomannans are long chained carbohydrate molecules also called polysaccharides .These consist of heterogeneous or non uniform structures occurring in a repeated pattern .The variation in the structure of these polysaccharides result from slight variations in this structure. Galactomannans consist of a mannose framework with a galactose group attached to it. These mannose rings form chains consisting of mannopyranosyl residues and galactopyranosyl residues chains located at varying distances on the carbon chain and these distances differ depending on the source of the galactomannans. Galactomannans occur from two key natural sources and these are plant sources and microbial sources. 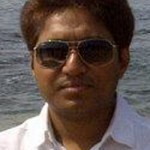 Plants are the main sources of galactomannans and they mainly occur in the family leguminosae which is the bean family. There are over 70 species in this family known to have galactomannans. They occur within the endosperm of the seed where they act as reserve of glucose to be used by the seed during germination. Some of the plants in the bean family which have extractable amounts of galactomannans include the guar bean, cassia gum, the tamarind gum, sesbania gum and Cassia Tora. Depending on the structure of the individual galactomannans they exhibit different characteristics hence affecting their physical properties. It has been proven scientifically that the addition of cross linkages through hydrogen bonding leads to less solubility of the compound in water while substituting some of the Cis – OH groups in the chemical structure will lead to increased solubility of the compound. Polymannan (a class of galactomannans) is insoluble in water while galactomannans -1(5) is partially soluble leading to low viscosity. In addition, boiling the solution produces a thick solution with high viscosity. Some galactomannans are completely insoluble in cold water but show better solubility in hot water. This property of solubility of these compounds is the single, most important element of these compounds in their industrial application as thickeners and gelling agents. The most important applications of galactomannans are derived from their great viscosity derived from water uptake into the chemical structure and the development of the hydrogen bonds leading to gel formation. They are used as thickeners or viscosifiers, stiffeners and even stabilizers in some emulsions. In the pharmaceutical industry they are used as crude flour which serves as the base to hold the chemical ingredients of drugs. Also in the manufacture of capsule medicines or pills which hold the drug powder inside and once swallowed the cover which is made of galactomannans dissolves ,releasing the medicine into the body. Also in hard to swallow drugs and children who are unable to swallow, drugs are coated with these compounds which have a relatively better taste and does not leave residue in the mouth. Cassia gum and locust bean gum are important in the textile firms as thickeners in dyes for printing fabrics and even carpets. Galactomannans also form gels with substances like boron or other transition metals. The resulting compound is useful in blocking or tightening oil wells. More uses of galactomannans keep emerging and this shows the importance of these compounds in our daily lives. For more information please visit: https://altrafine.com/about_us.html. What is Tamarind Gum Powder? Tamarind gum is a gum that is derived from the endosperm of the roasted seeds of the tamarind treeTamarindus Indica .The temperature conditions maintained for roasting the seeds are 130, 160, and 180 degrees. The tamarind seeds are about 1.6cm in length and 0.7 cm thick. The pods are 3-6 inches long with around eight seeds in each pod. It is used both as a stabilizer and emulsifier in the food industry. Tamarind seeds are commonly grown in India Bangladesh, Shrilanka ,Burma and other parts of the world but are native to South India and Africa. The tamarind trees are evergreen trees that grow to a height of about four meters and bear fruits after 13 years with an average of 180 kg for a full grown tree. Tamarind gum powder has sweet and acidic contents: it is best described as having a sweet and sour taste and is high in vitamins and acids .It is therefore used as a souring agent in preparing curries. It is also used for making sauces, syrups, and other food beverages. The acids are also anti oxidants which help protect the body from harmful radicals. It contains polysaccharides which contain dietary fibers .The dietary fibers prevent constipation by augmenting the bowels. The fiber also binds toxins in the food which helps protect the colon from cancer-causing chemicals. It contains vitamins including thiamin which help in enzyme metabolism inside the body. The exact distribution of branches along the main chain is still uncertain. Tamarind gum powder is used in food production industries and applies largely in making sauces, baked food meat product ketchups and instant noodles. Also, tamarind pulp made from tamarind gum powder is used a souring agent in Indian curries due to its sugar and acidic contents. The tamarind gum powder is also used in food preservation with or without acids and gelatinizes with sugar concentrates even in milk and cold water. The Swahili people in southern Kenya use it for garnishing of legumes and for making juices. In Mexico, it is used to add flavor to rice. It is also used as a stabilizer in ice creams, cheese and mayonnaise. The tamarind gum powder has a high ability to control viscosities when added in solutions and therefore makes up for a great supplement to add in pet foods. It is also a thickening agent. For this reason it is used in manufacture of canned pet foods. The production process of tamarind powder starts with first cleaning the tamarind fruit to remove the seeds and dirt. The fiber is then removed to the maximum extent possible. Followed by the shredding of the pulp which then dried and mixed with starch to 20% level and then the mix is ground in a pin mill to form a coarse powder like mass. The powder is then packed in pouches and cartons before distribution. It is used in a variety of food items like Chutneys, Sauces, rasams etc. 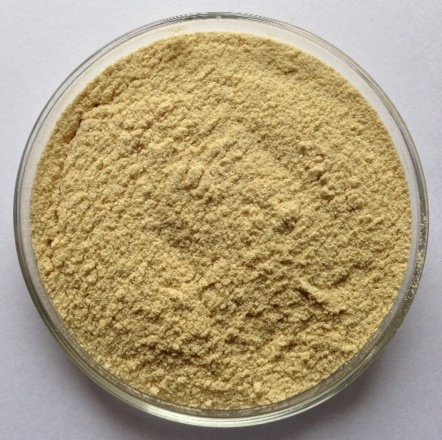 Tamarind gum powder has high nutritional value that makes it popular in the food industry. Additionally, its chemical composition gives it incredible soluble properties that are widely used in the food industry. As well as being renowned as a souring agent in curries it is also used in making ketchup ,ice-cream etc all which are growing industries and as they grow then the demand for tamarind gum also keeps on growing. Nowadays a wide range of gum powders are used for a variety of purposes. These gum powders also comprise of the sesbania gum powder. Sesbania gum is mainly extracted from the seeds of sesbania. The sesbania seeds are also known as sesbania aculeate. They grow on the small sesbania tree which is basically a native of China, Asia and Africa. Sesbania is an annual plant that can grow normally up to two meters high. It has tough, fibrous and short stems, long leaves and yellow flowers with purple spots. The sesbania shrub produces pods that have light brown beans. Sesbania gum powder is easily soluble in hot as well as cold water. It is a polymer that is also categorized as galactomannan polysaccharide. The sesbania gum powder is generally a white or cream colored, loose milky powder. Although it dissolves in water, it is not soluble in alcohol, ketones, ethers and other organic solvents. When sesbania gum powder is mixed in cold water at room temperature, it forms a highly viscous water soluble solution that has a pH value of 6 to 11. The viscosity of this sesbania gum powder is usually 5 to 10 times more compared to the natural gum plant, sodium alginate, starch. Furthermore, the constituents and specifications of sesbania gum powder are as follows. It has a minimum viscosity of 2000 to 2500 cps. And when the viscometer is used at a temperature of 25 degrees and speed of 20 rpm, it has a maximum viscosity of 3000 to 3500 cps. Further sesbania gum powder has a moisture content of maximum 12 percent, passing 90 percent, proteins 5 percent, fat 1 percent, A.L.R. 3 percent, Ash 1 percent, pH between 5.5 to 7.0, carbohydrates minimum 80 percent, arsenic maximum 3 ppm, lead maximum 2 ppm, and heavy metals maximum 20 ppm. Besides this, it has been found after performing microbiological tests, that the sesbania gum powder contains a total plate count per grams of maximum 5000, yeast and mold per gram of maximum 200, salmonella per 25 grams is not present, and also, E. colli and Colliforn is not available. 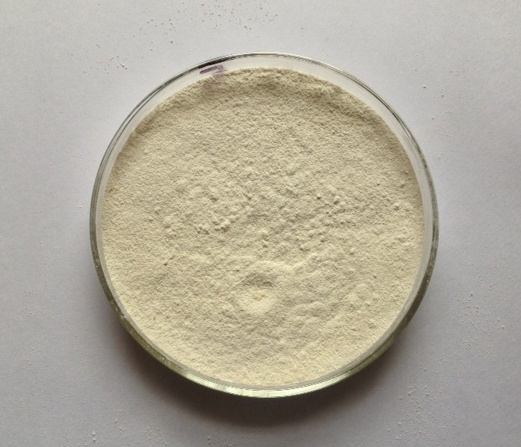 Sesbania gum powder has several domestic, commercial and industrial applications. It is widely utilized as a sizing agent and dye thickener in the textile industry. Besides this sesbania gum powder is also used for making incense. Actually the most important usage of these sesbania seeds is in oil industry. This is due to the fact that it is highly useful as a blocking agent, water resistance and reduction agent; as well as a tackifier for producing fluid cracking that helps to increase the rate of oil production. Another major application of sesbania gum powder is as a flocculant in water and for treatment of waste water. Moreover, it is also available at a lower price than guar gum powder and can acquire a viscosity between 1500 cps to 3500 cps. Therefore sesbania gum powder is considered as the best substitute for guar gum powder.